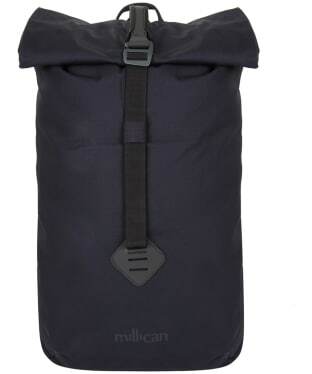 Explore the great outdoors in style and convenience with the Millican Miles the Duffle Bag. 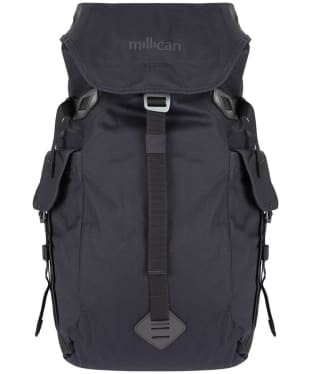 Boasting an impressive 60L capacity, the Miles ensures that nothing needs to be left at home and features removable rucksack straps giving you the versatility to carry it as a backpack or from the leather reinforced grab handles to the top and sides. 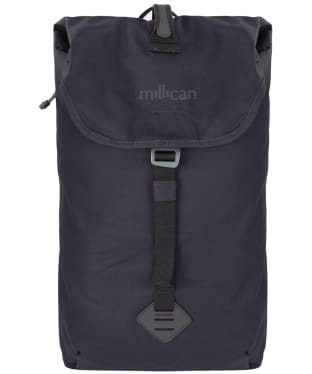 30% stronger than regular canvas, the Miles has been crafted from an impressive weatherproof Bionic Canvas, giving you a durable duffle bag and the peace of mind that all your valuables will stay safely dry regardless of where your adventure may be taking you. 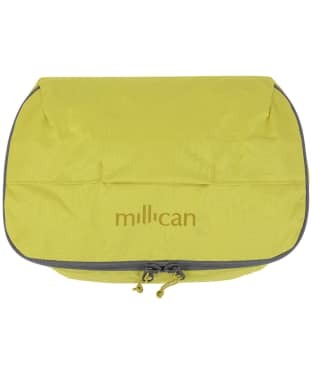 Secure internal pockets and an external zip pocket have also been added ensuring there is plenty of space for toiletries or any other essentials. 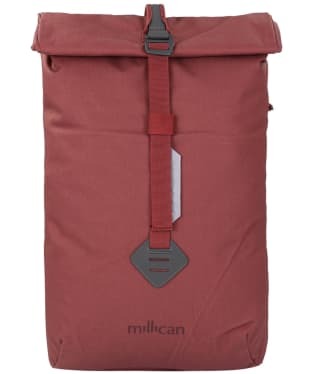 Internal and external compression straps also feature allowing the bag to be compressed neatly, making it more convenient for travel and the Millican branding has also been subtly added for that final stamp of style and quality reassurance. 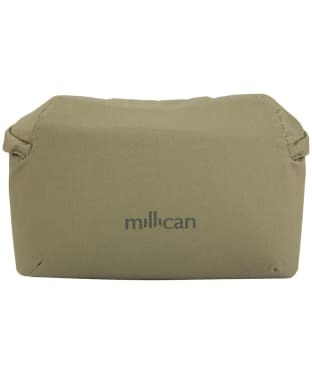 Perfect for keeping your personal essentials close to hand, the Millican Packing Cube 9L has plenty of space for those extra pairs of socks for when you are out hiking, or simply for storing your mobile phone and keys that always seem to disappear in your bag! 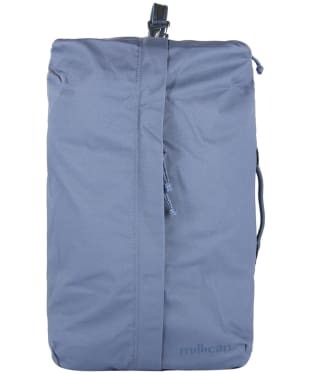 Crafted from a single piece of waterproof recycled polyester for that durable feel, the cube has external grab handles for easy access, as well as a full zip to keep your items safe and secure. 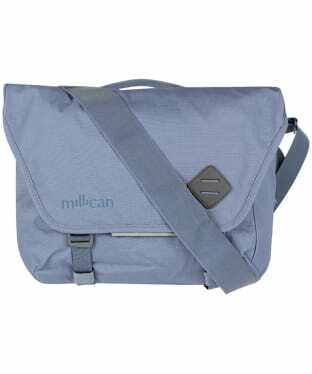 Finished with Millican branding for that quality feel, the packing cube is the ideal accessory for your rucksack. 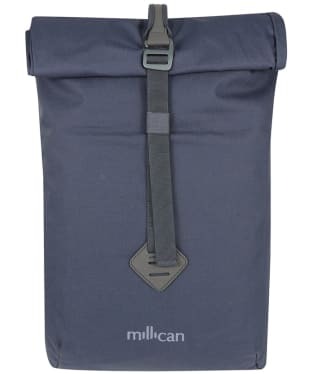 With ample storage space, the Millican Packing Cube 18L is the perfect addition to keep your personal items organised whether you are out hiking or simply heading on holiday. 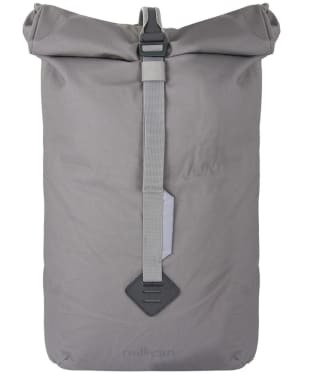 Crafted from a single piece of waterproof recycled polyester, the durable packing cube is ideal for when you are out in the great outdoors, featuring external grab handles for ease of access. 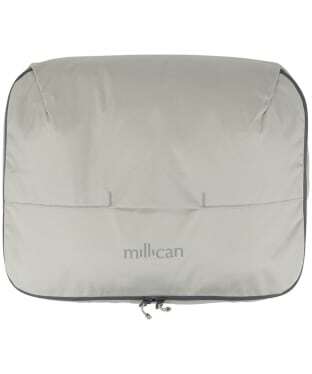 Designed with a zip fasten to keep your essentials safe and secure, the packing cube is finished with signature Millican branding for that added mark of quality and style. 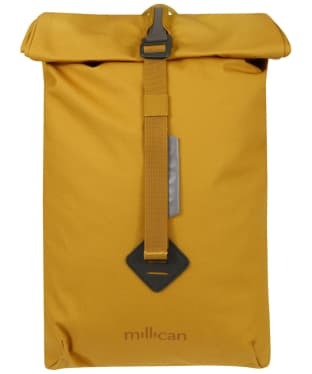 The Millican Fraser the Rucksack 15L, has been inspired by alpine classics, making it the perfect partner for all of your outdoor adventures, whether you are cycling, hiking or simply travelling to your next destination. 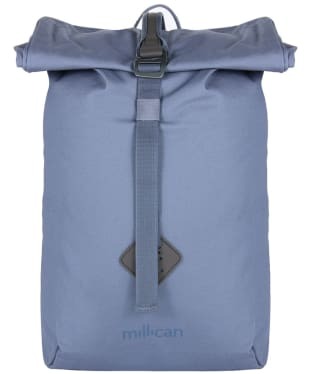 Crafted from Millican's Bionic® Canvas, this durable and weatherproof rucksack has a streamlined design, and features removable waist and sternum straps, to keep you comfortable on those long journeys. 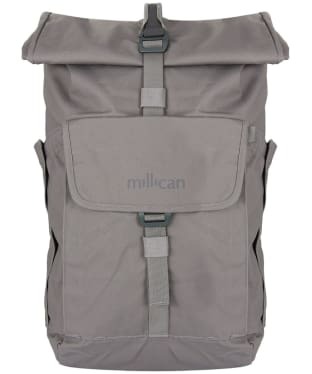 For your added convenience, there is ample storage space, with a pocket to the back of the rucksack offering up to 13 inches of room for your laptop, along with an external pocket, ideal for storing your valuables. 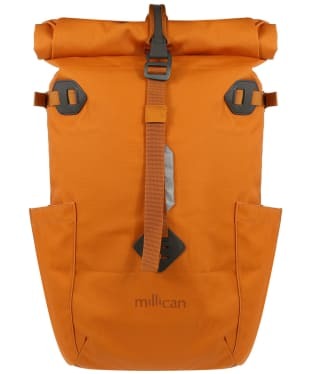 The Millican Fraser is finished with a reflective strip and a clip on light facility to keep you safe when you are out and about in the dark. 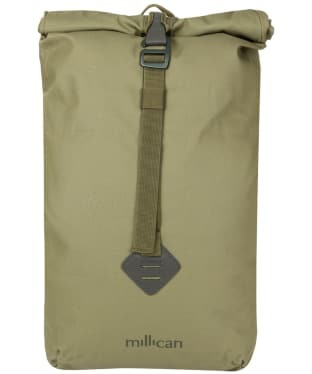 The Millican Tinsley the Tote Pack 14L is perfect for taking on your travels. 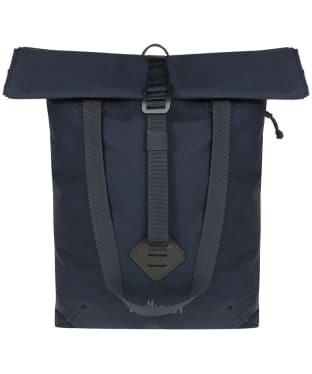 This lightweight and weatherproof tote pack is multifunctional and can be used as a day pack or a tote bag due to the handles that can convert from a tote style to adjustable shoulder straps, ideal for whether you are hopping on your bike to explore a new location, walking through the country or simply heading out on your daily commute to the office! 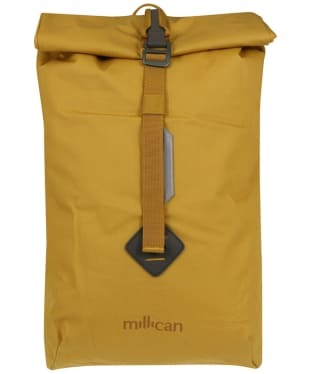 Designed with style and practicality in mind, the Tinsley boats the classic Millican roll up top, allowing you to store and carry your items with ease. 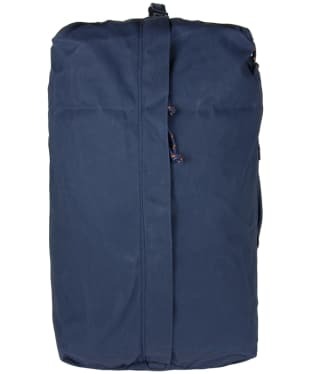 This durable Tote Pack has ample space for all of your belongings, with an external valuables pocket and internal organisation pockets, with the secure roll-top entry ensuring that your items will be kept safe whilst you are out and about. The Tinsley the Tote is finished with Millican branding for that added mark of exceptional quality. 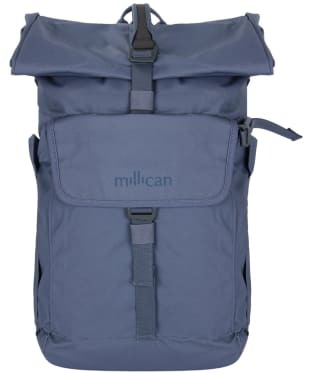 Your perfect partner for those outdoor adventures, the Millican Fraser the Rucksack 25L has been crafted from Millican's Bionic® Canvas, offering you a weatherproof, streamlined and highly durable rucksack, ideal for those hikes, bike rides or travels across the globe! 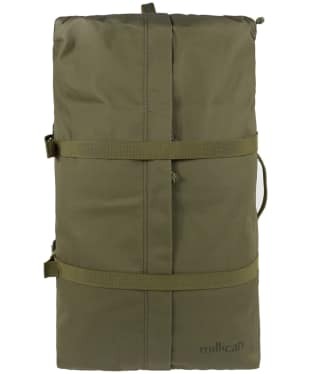 The Fraser has ample space for all of your items, featuring an easy access 15 inch laptop sleeve, external pockets to store your outdoor essentials such as maps and compasses, and the rucksack is also compatible with hydration systems, with plenty of room for that should you want to add it. 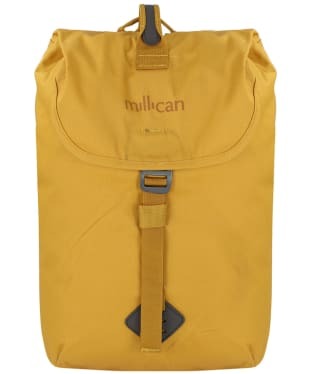 Designed with your individual needs and requirements in mind, the Millican Fraser has removable waist and sternum straps, so that you can create a fit that is sure to keep you comfortable even on those long journeys. 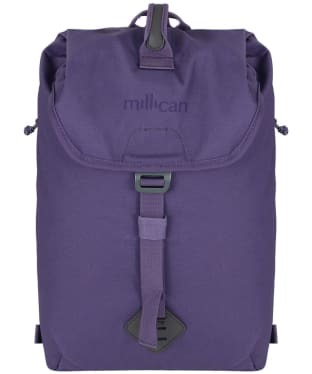 Be prepared for anything with the Millican Fraser the Rucksack 18L, designed with external pockets perfect for essentials such as your mobile phone and maps, along with an easy access 15 inch laptop sleeve to offer you maximum space for all of you personal items. Crafted from durable Millican Bionic® Canvas weatherproof fabric, you can be sure that the rucksack will protect your belongings from the elements, whether you are cycling through the country, travelling to a new destination or simply heading out to work. 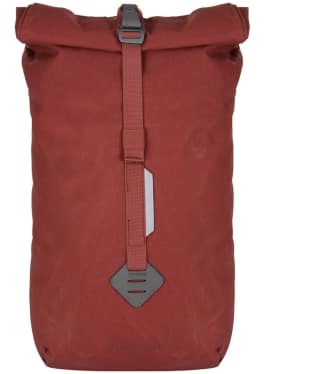 Designed with your individual needs in mind, the Fraser has removable waist and sternum straps, to keep you comfortable even on those long journeys. 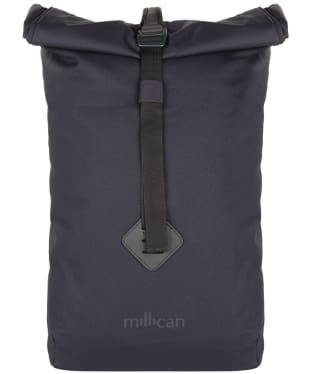 The Millican Fraser is completed with a reflective strip and clip on light facility for you safety when you are out and about in the dark. 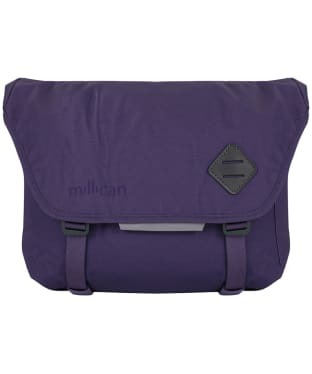 Be free to explore and capture the moment with the Millican Bowden the Camera Messenger Bag – a technical messenger style bag with camera-friendly details to ensure your precious tech is kept safe and secure wherever your adventures take you. 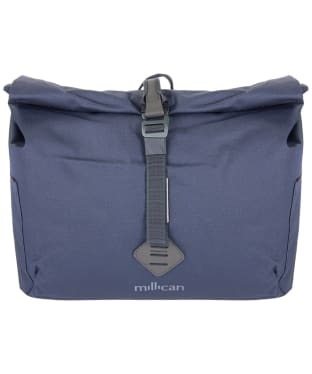 Featuring a roll top and sturdy aluminium buckle, the Bowden bag includes an internal camera chamber which is collapsible for when you need extra space, and includes multiple internal and external pockets including a 15” easy access laptop sleeve. 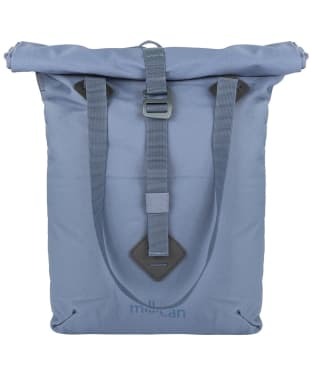 To ensure you travel in comfort, this Millican messenger bag is finished with an adjustable shoulder strap and detachable stabilising strap to keep the bag in place whilst cycling. 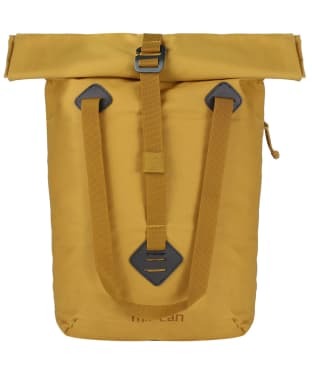 Perfectly paired with the Millican Marsden the Camera Pack 32L, the Millican Camera Insert and Waist Bag is the perfect place to store your camera and essentials while on the go. With a watertight zipped lid, you can be sure you tech is safe from the elements, with padded external walls to protect from drops and falls. 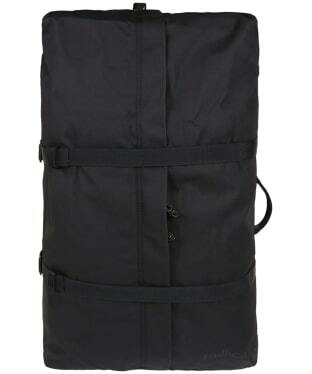 The bag can be worn comfortably around the waist or hips for instant access when you're out making memories. 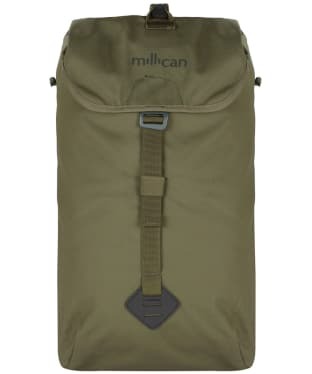 Pack up in style with the Millican Miles the Duffle Bag, ideal for carrying those daily essentials, offering you a beautiful, sustainable and functional piece from the Millican Maverick Collection. 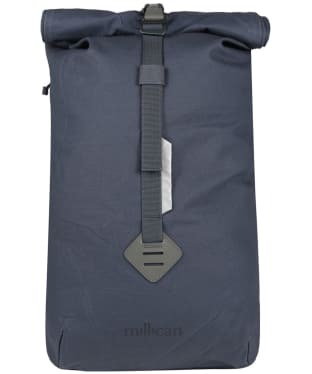 The Miles duffle has been crafted using a few panels of sustainable and highly weatherproof Bionic® Canvas, minimum seams for maximum strength. 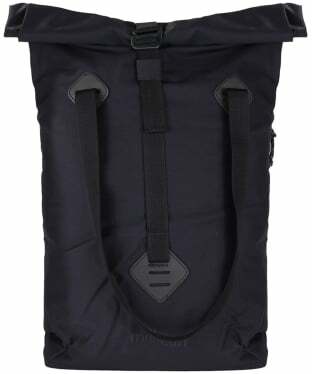 This lightweight and highly weatherproof design is ideal for carrying your daily kit, no matter where your adventure may be taking you. 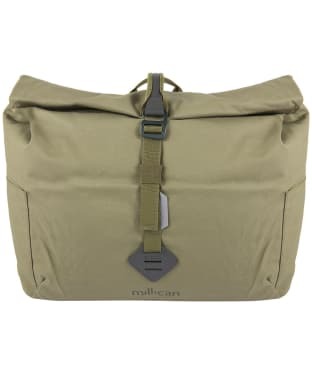 Millican's Bionic® Canvas is 30% stronger than regular canvas, giving you a durable duffle bag you are bound to love! 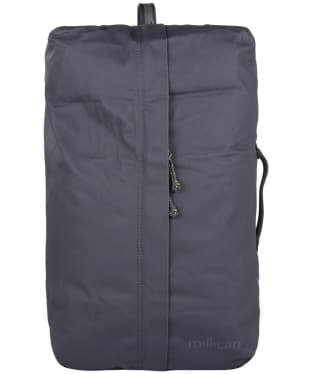 For added convenience this duffle bag can be carried both vertically and horizontally, as well as featuring removable rucksack straps. 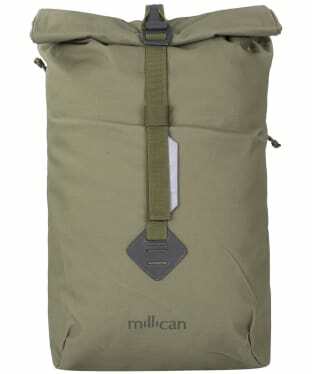 For added durability you will find no plastic on Miles the Duffle Bag, just tough aluminium hardware. 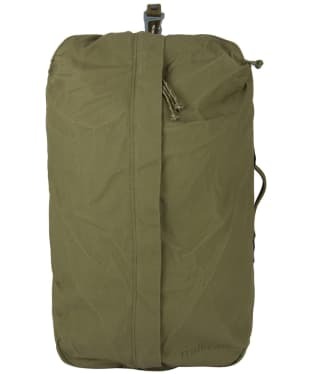 Choose the duffle bag which is built to last! 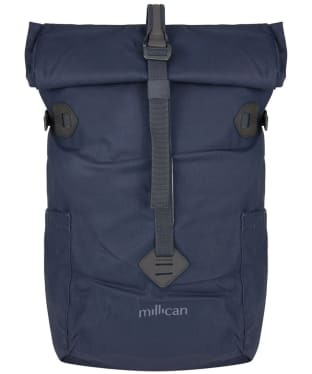 Be ready for anything with the Millican Smith the roll pack 15L, this lightweight and weatherproof pack in ideal for commuting, cycling, walking or just your everyday travelling. 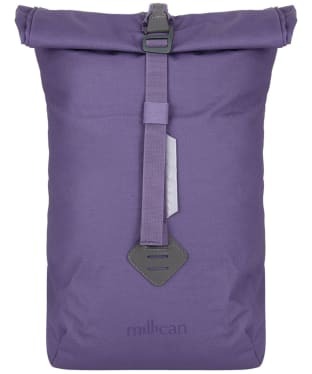 The pack offers you a compact version of the recognisable Millican roll-top, offering minimum seams with maximum durability. This simple yet durable design features plenty of room for your everyday essentials with an external zip pocket for valuables and internal pockets with plenty of room for your iPad, phone documents and more. 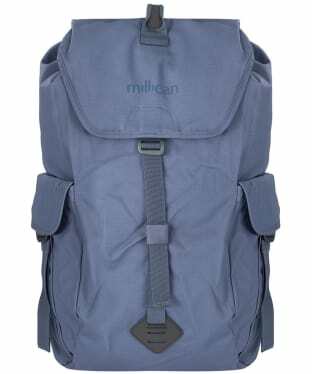 For added convenience Smith the roll pack also fits a laptop up to 13”, meaning you can carry your laptop easily and safely. 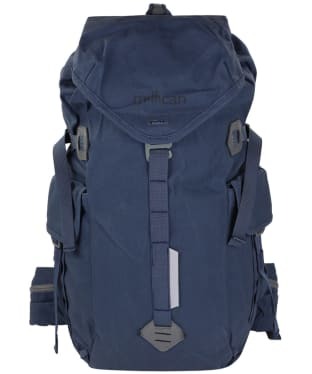 This backpack also offers you added comfort whilst on the move, with adjustable padded and ergonomic shoulder straps, as well as removable waist and sternum straps, ideal for cycling and hiking. 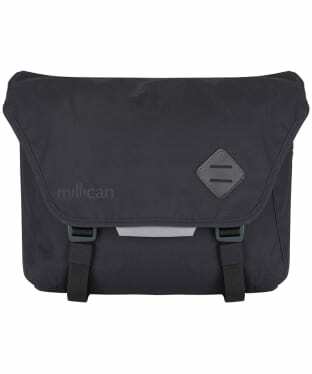 The Millican Nick the Messenger Bag 13L has been inspired by the life of a cycle-tourer, designed to meet your everyday needs. 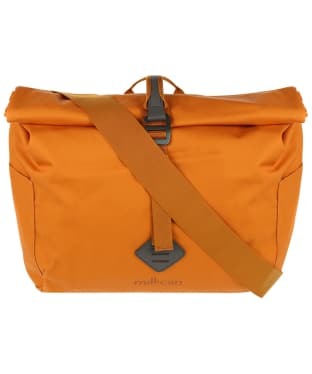 Nick the Messenger is a streamlined, weatherproof canvas messenger bag tailored for life on two wheels. 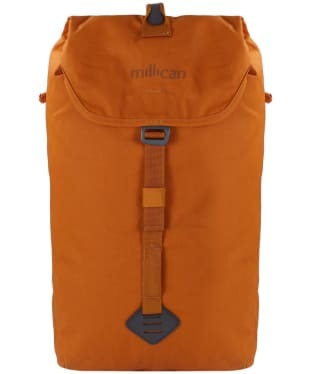 This stylish bag features minimum seams, meaning maximum durability, finished with a secure lid with aluminium buckle fastening boosting the security and durability you need for your day to day travels. 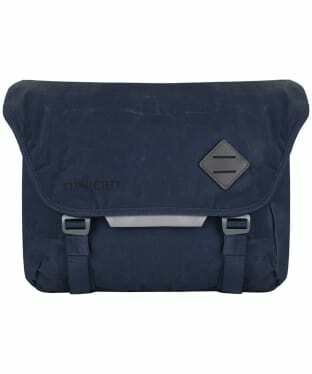 For added convenience Nick the messenger back features an easy access external laptop sleeve, making life that little bit simpler. 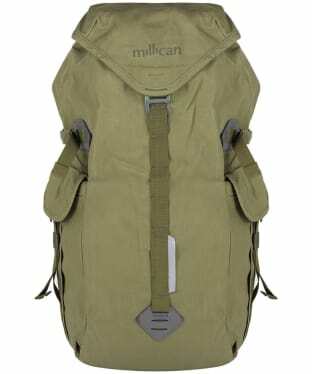 Inside you'll find multiple pockets, outside you'll find U-lock loops, light attachment, reflective strip and a zipped pocket. 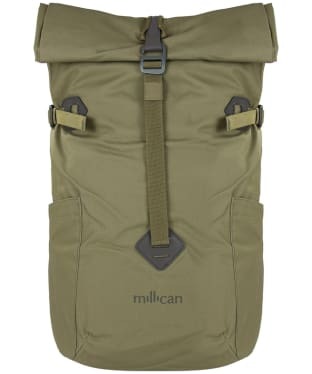 The Millican Fraser the Rucksack 32L is a funstional, lightweight and weatherproof rucksack designed for hiking and travel. 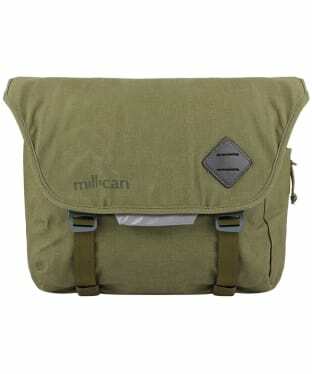 It is crafted from bionic canvas with minimal panels and seams to make it more streamlined and durable. 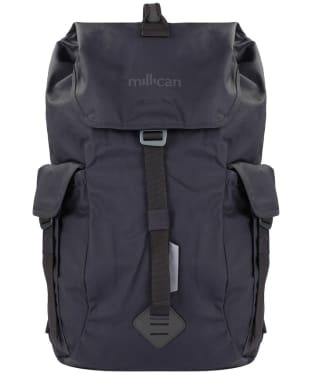 It's been designed with your comfort in mind with removable waist and sternum straps for longer journeys, adjustable padded ergonomic shoulder straps, chunky leather grab handle and padded air-mesh back panel. 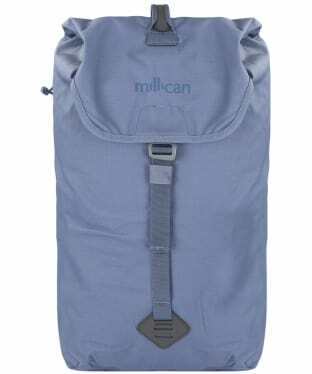 The top lid opens and closes with 1-handed drawstring closure and there are lots of practical pockets to fit your phone, maps, valuables and even space to fit a hydration pack or laptop up to 17". There's also a fold-away reflective strip and clip-on light facility on the front panel for your safety when out and about in the dark. 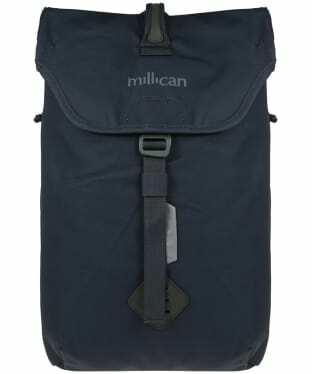 Beautifully finished off with subtle Millican branding. 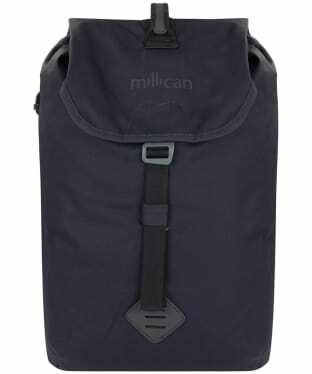 Millican Miles the Duffle Bag is a beautiful, sustainable and functional piece from the Maverick Collection. 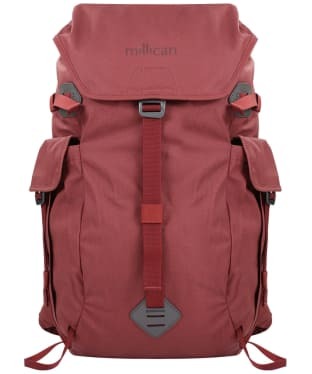 It's designed by a technical pack designer with minimum seams and panels for a clean design and maximum durability, along with tough aluminium hardware. 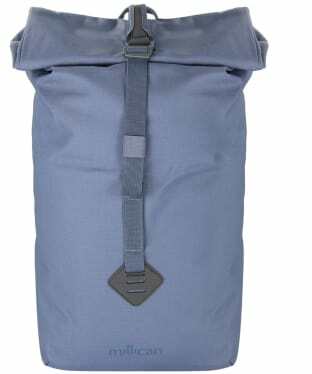 Crafted from Bionic® Canvas, a blend of recycled ocean plastics and natural fibre, the fabric is strong, lightweight and highly waterproof. Trims are made from 70% vegetable tanned leather. 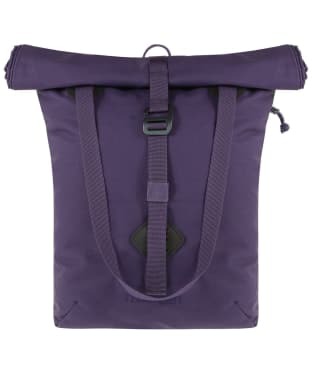 Features include removable rucksack straps, secure internal pockets, a zipped external pocket ideal for travel documents and zipped a laptop sleeve capable of holding a device measuring up to 15 inches. 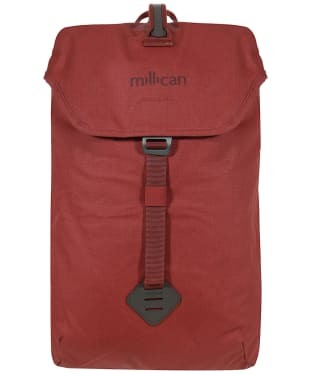 Designed for active journeys - Millican have really thought a lot about and tested their designs, with some clever little details added. 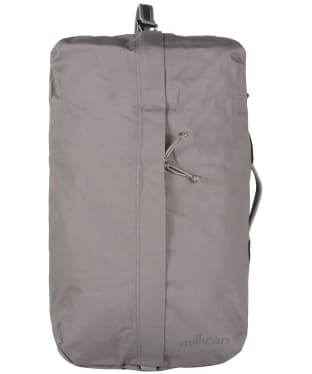 Designed to meet the 'carry-on' requierments of major airlines (please check individual airlines for details).